Amir Khan registered amazing victory over former world champions Devon Alexander in Las Vegas last week and his performance was so assured that many boxing fans are hoping that he will fight Mayweather Jr next if the fight everyone wants to (Pacquiao vs Mayweather) won’t happen. Amir Khan beat Alexander and he did in some style, won every round totally dominating through out and straight after the fight he called out Floyd Mayweather (which was expected). So now we take a look at some of the possible opponents for Amir Khan heading into the new year 2015. Well Floyd you were saying totaly opposit a few months back, before he signed Maidana 2 he was on record to say that Khan has a big following of fans and fight against him will make a lot of sense. There is another big money fight which Khan can choose against British boxer Kell Brook, who recently defeated Shawn Porter and has been looking to land Amir Khan fight for sometime. Amir Khan vs Kell Brook might turn out to be bigger than George Groves vs Carl Froch which happened and Wembley. Eddie Hearns the promoter of Brook is very vocal about the fight. Khan on the other hand said that he will fight Kell Brook at some point of his career but right now his mind is only set on Mayweather Fight or the rematch against Danny Garcia. Here are couple of videos showing there is no love lost between Khan and Brook. People often accuse Amir Khan of not revenging his defeats and one of them which almost shattered his career came in devastating fashion against Danny Garica couple of years ago. Khan camp were hoping to land Mayweather fight at the time and everybody knew if Khan beat Danny Garcia he will face Mayweather within next year. But going into the fight Danny Garcia’s father was all over Khan and he really got under the skin of Khan. Amir Khan almost schooled Danny Garcia for the opening two rounds but than a killer left hook left Khan dancing on the jelly floor. 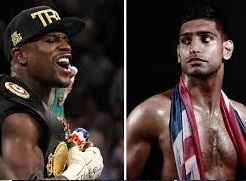 Now in my openion this is one fight Khan has to push for if Mayweather fight won’t Materialize. If he fights Danny Garcia next and beat him that I can boxing fans both in USA and UK demanding the fight against either Mayweather or Pacquiao. Although Angel Garcia, father of Danny Garcia is not too keen on the rematch. But this is one fight which could bring in good money and can easily be the headline PPV event. 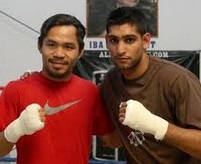 Khan and Pacquiao has spared on countless occassions when Khan was with Freddie Roach. Recently Roach has been biting back at Khan saying that Pacquiao knocked out khan in sparring many times. On the other hand Khan has been saying that he never got knocked out in sparring with Pacquiao. 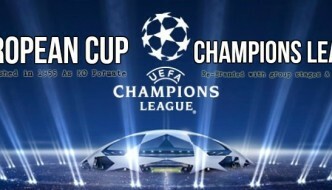 So this is another fight which can not only generate big money but alot of interest from fans. Oscar De La Hoya said after Khans victory over Alexander that if Mayweather fight wont happen for Khan that Pacqiao is an interesting name.